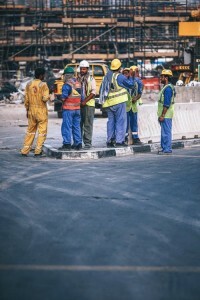 Does my firm have liability if we are not the prime on a project? This question is asked quite often and the answer is yes. Just because your firm is not the prime on the project it doesn’t take away the liability. Overall, yes the prime does have higher liability since they hold the contract with the client. However, since your firm has worked on the project there is liability. Your contract is with the prime and if the prime were to be sued due to negligence that could trickle down to the sub consultants of the prime. Additionally, firms that are not stamping the drawings still have liability on the project. Again, your firm worked on the project and therefore there could be errors or omissions with your firms work. This does not eliminate the liability that your firm may have. Remember your firm does still have a contract and just because you are not stamping the project it doesn’t get rid of the liability. Firms that provide just reports or studies on a project still have liability. The liability does tend to be less with reports and studies but there is still liability. It is important to have a Professional Liability policy in place for your architecture/engineering firm in any of the cases above. Even though with some of the services there may be less liability there is still liability regardless. Additionally, no matter size or the services provide on a project there should always be some sort of written contract in place. There is liability is almost everything you do. Having a Professional Liability policy in place will provide protection for your firm in case your firm is sued. If you do have questions please call or email your Professional Underwriters agent.